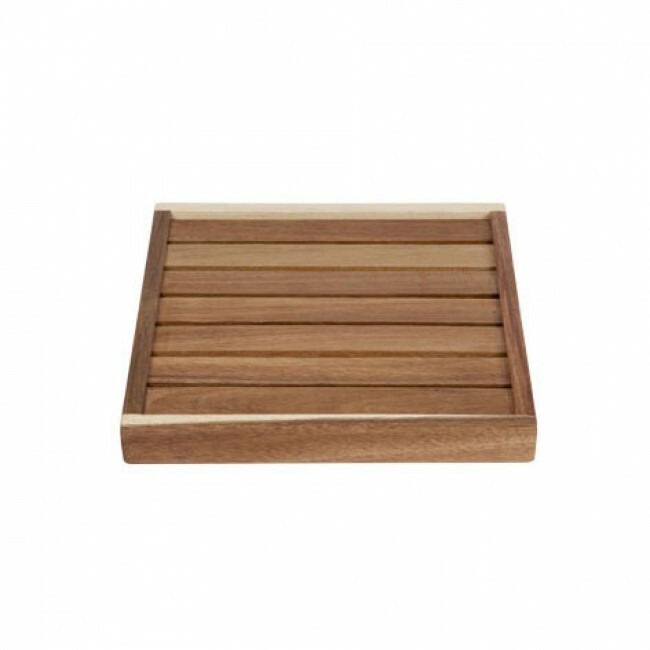 This brown acacia wooden square serving tray of dimension 10 x 10 x 1.2" / 25 x 25 x 3 cm by Cosy & Trendy is delicately crafted to bring out naturalness. Salad bowls, verrines, drinks or snacks will be showcased in this beautiful 10" / 25 cm square serving tray Cosy & Trendy. The serving tray 10" / 25 cm by Cosy & Trendy will allow you to ensure the service with elegance.